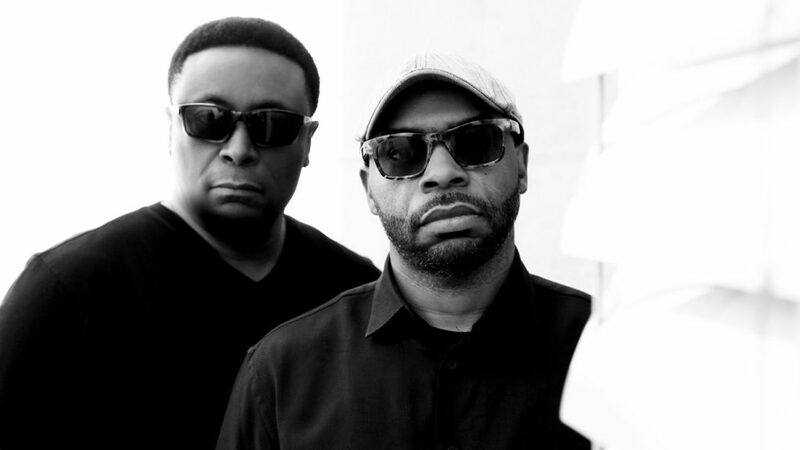 The electrifying live performances of Octave One are one reason that the Detroit born and bred producers are in constant demand. On stage, Octave One transforms synthesizers and sequencers into vessels of funk, house and symphonic beats. The live show is evidence of what longtime fans already know. Octave One has penned several of the dance floor classics that define an era. And now Octave One is gearing up for its next chapter: A world tour and their new single “Just Don’t Speak”. The EP “Love By Machine” EP is being released this year. Octave One is the brainchild of core members Lenny and Lawrence Burden. The Burden brothers burst onto the Detroit techno scene in 1990, producing their debut “I Believe,” featured on the compilation Techno 2: The Next Generation. The collective also includes frequent contributions from siblings Lynell, Lance and Lorne Burden. Their 2002 hit single “Black Water” has sold over one million records worldwide. Little Louie Vega, Danny Tenaglia, Jeff Mills and Richie Hawtin are among the DJs that continue to regularly weave “Black Water” into their sets. The group has also earned critical acclaim for countless records including “Empower,” “Nicolette” and “The X-files.” Their 2015 album Burn It Down further pushed the pillars of funk and soul forward and introduced the band to a new generation. On “Jazzo/Lose Yourself,” featuring a remix by Paul Woolford and vocals by Ann Saunderson, Octave One blends the intimacy of the studio production process with the immediacy of the live performance. “We did it by slamming a DJ set with a live recording studio,” says Lawrence. Both Lenny and Lawrence are trained musicians, who took an early interest in DJing, programming, and inventing their own sound equipment. “Our set is unique, because we’ve created a setup that mimics a drum kit,” Lenny says. The Burdens founded 430 West/Direct Beat Records in 1990, a record label that paved the way for the rise of the indies throughout the ’90s. Their extensive 430 West catalog ranges from Aux 88’s “My A.U.X. Mind” to Rolando’s “Jaguar,” which included an Octave One remix. Octave One has remixed tracks for Massive Attack, Steve Bug, Aril Brikha, Vince Watson, The Trampps, Rhythm is Rhythm and Inner City. The Burdens have also released music under the band name Random Noise Generation, including a 2006 full length DVD/CD project by Octave One featuring Random Noise Generation Off The Grid, released in cooperation with Tresor Records. Their performances earn critical acclaim. “If you ever get the chance to attend one of their highly energetic shows, be sure to opt for the in-person venture and save the YouTube streams for later,” one journalist writes. Octave One is more than an electronic band; it’s an experience, one that assures you’ll be back for more, teasing the boundaries of space, sound, and the possibilities of music in real time.